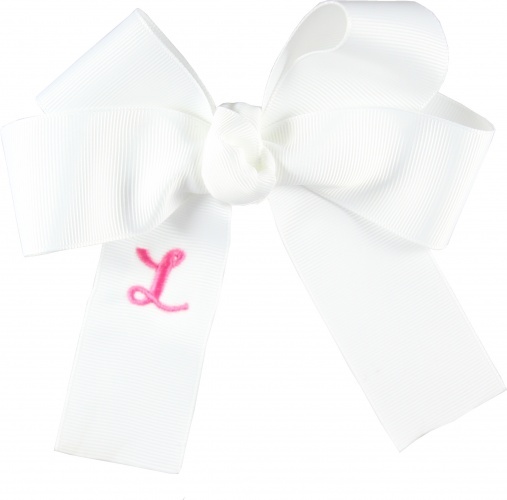 This is a model bow for a white long tailed bow that is monogrammed with a pink "L". The French knot is made by the same 1.5" grosgrain white ribbon. This two tailed look is great for big ponytails and is personalized. Order this bow, specify what letter you would like embroidered in this script font or the monocurls font, and the color will be pink. We can also do this style bow with monogram on any print or other solid colors that you see on the website. So just let us know if you have any specific orders so we can make it up for you.